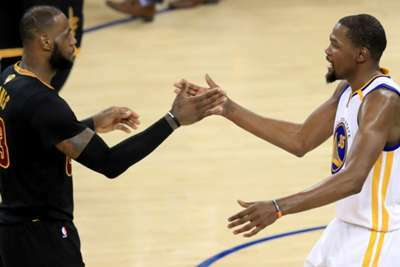 Golden State Warriors star Kevin Durant backed LeBron James' move from the Cleveland Cavaliers to the Los Angeles Lakers, describing the switch as the "perfect decision". After leading the Cavaliers to the NBA Finals last season, James opted out of Cleveland to sign a four-year, $154million deal with the Lakers. Since joining the Lakers, many around the NBA have criticised the three-time champion and four-time MVP for his decision. Durant, however, is not one of them as applauded the 33-year-old. "I loved it. I absolutely loved it," Durant told Marc Spears of The Undefeated after helping sink James and the Cavs in the Finals. "I thought it was the perfect decision, perfect move, did everything he was supposed to do in Cleveland. 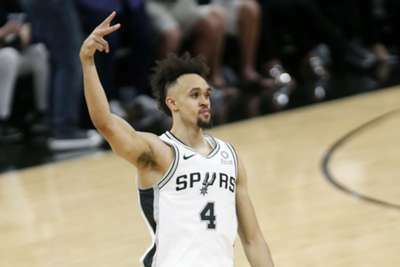 "I think this is the perfect next step for him, and he's kinda breaking down the barriers of what an NBA superstar is supposed to be. You feel like you're just supposed to play it out in one spot. "I think he did a good job of giving different chapters. I think it's gonna make his book even more interesting when it's done." Durant can empathise with James as he faced a similar backlash when he made a decision to join the Warriors in from the Oklahoma City Thunder in 2016.